Simplicity and elegance eclipse the most elaborate, wedding centerpiece ideas. While guests might be magnetized by the grand elements and details of a wedding centerpiece, they’ll appreciate having space for their wine glass and plate. Besides, there’s no written rule that wedding centerpieces exude any more than simple, elegance.With all the decisions a bride has to make, here’s how and why simplicity rules. Note that the wedding centerpiece ideas of a round table and a rectangle one call for specific space requirements. 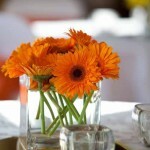 For the rectangle seating, space small wedding centerpieces between every other person. One center display is adequate for the round table. (So, consider how much space your guests will have to eat, and drink without the table being too crowded). 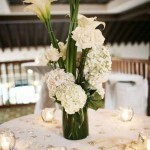 Next, choose a wedding theme or select similar elements to spark the design of your wedding centerpiece ideas. 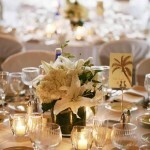 For instance, candles, flowers, glass materials and wine make for a classic wedding centerpiece. ***Note that many resorts and wedding destinations include accessories such as candles, votives, vases, chair covers, etc. 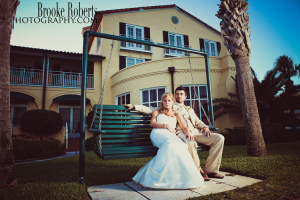 within the cost of the wedding venue rental or can provide them at an additional fee. Select a floral bouquet that is symbolic of you and your grooms love for one another. Otherwise, opt for the practical route, selecting flowers with the most enduring vase life to withstand the wedding ceremony and reception. For a simple yet stunning wedding centerpiece idea, consider exotic floral arrangements or beach-themed if you are choosing a coastal wedding destination. Many of our guests rent bikes while they are on the island-or even bring their own from home. Exploring the island by bike is a great way to get around during your stay or to explore the island just for a day. Ocean Motion bike shop sits right at the foot of The King and Prince Resort and they have many adult and children’s bike options available. Georgia’s coastal marshland accounts for nearly 378,000 acres of land on the back side of the six barrier islands. The marsh behind East Beach is a wonderful area to view nature at its best. You will see fiddler crabs, shore birds such as egrets, sandpipers, gulls, oyster catchers and raccoons. 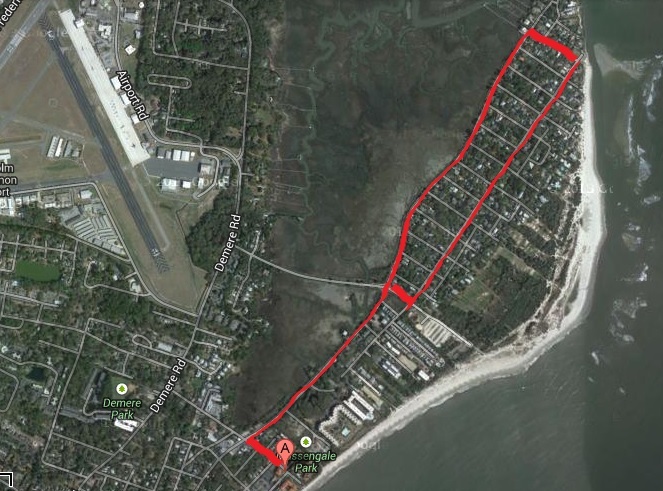 While riding through the East Beach neighborhood, you will see the quaint side of St. Simons Island. The pier and village area of St. Simons is the heart of the island. There is so much to see and do! This bike ride will take you partially along Beachview Drive which runs parallel to the ocean. Enjoy the sea breeze and look out for dolphins in the water along your bike ride. Once you reach the village, you will ride past the lighthouse and Neptune Park and into the heart of the village. There are several bike racks where you can leave your bike while you explore all of the shops and restaurants this area has to offer. Fall is one of our favorite seasons in the Golden Isles. The temperatures are mild, the island is calm and there are many events to attend and participate in! 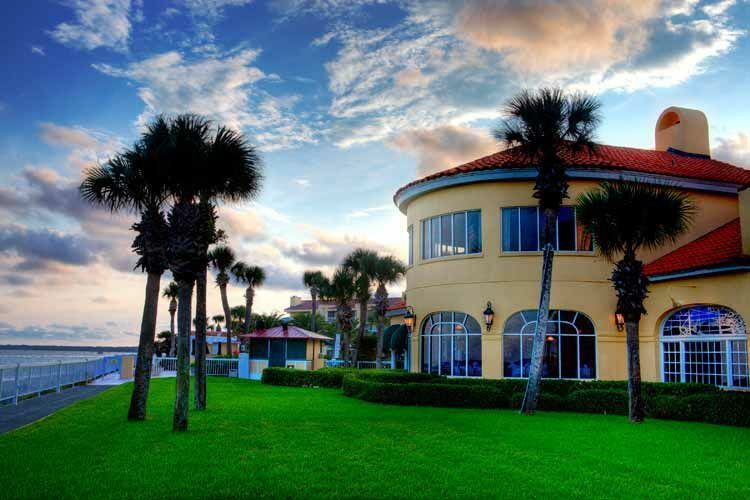 Here are some of our favorite fall events around St. Simons Island and Jekyll Island! September 1st, 7pm. Pack a picnic dinner and enjoy an evening of live music under the stars by the St. Simons Island Lighthouse. The festival celebrates two favorite foods in the south – Shrimp and Grits. Cooking demonstrations, live entertainment, arts & crafts vendors, shrimp boat tours and a cook-off are just some of the activities you will enjoy throughout the weekend. These two great events support local children’s charities across The Golden Isles. Meet The Pros is Thursday, September 26th at The King and Prince Beach & Golf Resort from 5-7pm. Meet local golf pros, enjoy cocktails, heavy hors d’oeuvres and participate in a silent auction. The Swing For Kids Tournament is Friday, September 27th with lunch and registration at 11am at The King and Prince Golf Course. Tickets are still available for both events. Visit www.mcgladreyclassic.com for more information. Celebrate the bounty of The Golden Isles and our culinary talent while raising money for Hospice of The Golden Isles. Events will take place from October 1st through October 6th and will include restaurant specials, cooking demonstrations, whiskey and wine tastings, cooking classes and so much more! The resort’s chef, Jason Brumfiel will be part of “A Study in Shrimp” tasting and talk on October 4th. This is the second year for this culinary festival and tickets will sell out so be sure to purchase yours in advance! Located at the GA DNR Coastal Regional Headquarters in Brunswick, Coast Fest is a great way to learn about the local ecology and meet animals that call the Golden Isles home! The festival will be Saturday, October 5th from 10am to 4:45pm. 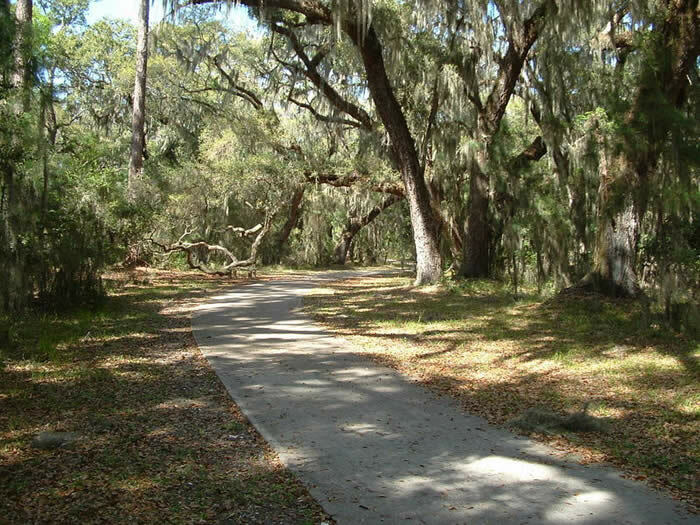 Stroll under the live oaks in Postell Park and take in the crisp fall air while you enjoy the Glynn Arts Association’s annual festival. There will be many arts and crafts vendors to purchase art from. The event will take place October 12th & 13th. Celebrate the birthplace of Brunswick Stew on Saturday, October 26th. The day starts with a 5K followed by a pooch parade (complete with costumes!). There will be live entertainment, a kid zone, arts & crafts displays, an antique car show and lots of Brunswick stew to taste. 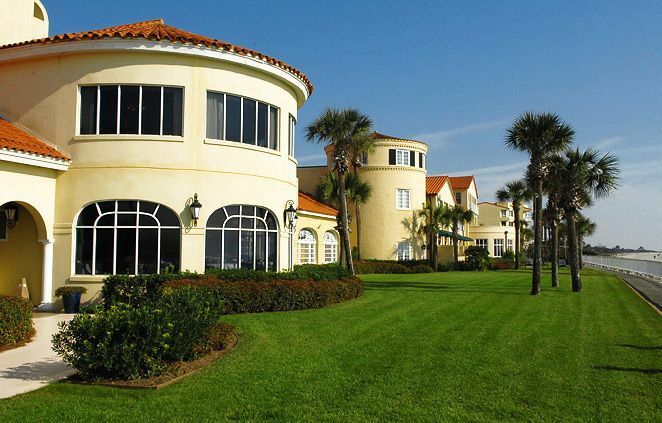 This PGA Tour event is hosted by island resident Davis Love III and is played on the Seaside Course at Sea Island. The Tournament includes youth activities, a pro-am, military appreciation day and a concert under the oaks with Toby Keith. This event takes place November 4th -10th. Some brides-to-be aspire to host a wedding, reenacting those of the rich and famous. From the wedding gown, flower bouquet to the wedding destination, four covetable celebrity weddings feature indelible memories. What’s Your Celebrity Wedding Style? What’s the latest celebrity wedding trend? While some celebrities opt for the wedding extraordinaire, the latest celebrity wedding details have been of the intimate persuasion. This year, trends and reports show more celebrities opting for the intimate affair, where guests arrive at remote wedding destination. Keira Knightley married rocker, James Righton a few months ago at a villa in Avignon France. Fewer than a 100 people were in attendance of the abbreviated wedding ceremony. Wearing flats paired to a tulle dress that goes to the knees, the Keira opted for a simply classic look. Takeaway: There are no rules on a wedding gown’s length, color or design! Supermodel, Elle MacPherson married billionaire Jeffrey Soffer in a super secret wedding earlier this month in Fiji Island. The details of the nuptials were so classified that the 15 guests, who were flown to the couple’s luxurious resort under the guise of a vacation, learned of the celebrity wedding upon arrival. But what’s the bride and groom, who don’t own a resort in Fiji to do? Several luxury resorts, situated on islands of the United States in America accommodate intimate wedding ceremonies and receptions. 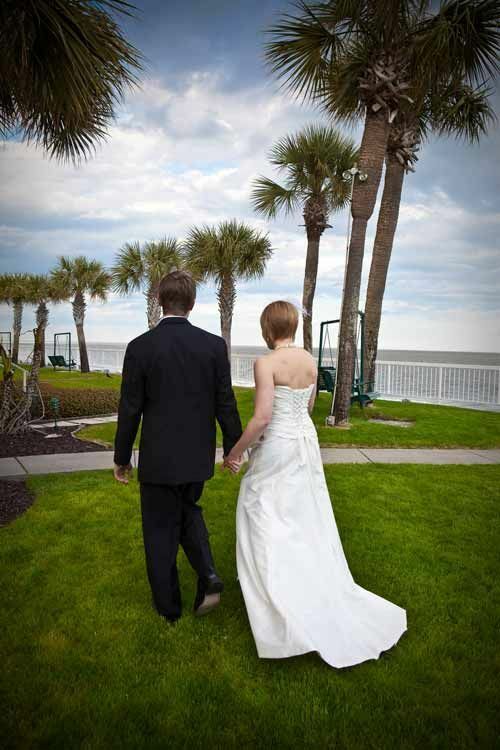 Saint Simons Island suits wedding destinations of all sizes: intimate to grand. A ‘crazy vacation’ is what recently married, pop star Avril Lavigne is quoted as referring to the theme behind her celebrity wedding in Cannes Frances. Sources at Huffington Post report that Avril Lavigne was clad in a black wedding gown, toting a black bouquet of flowers on her day of nuptial splendor to Nickelbacks’, Chad Kroeger. While a black wedding gown is not everyone’s idea of the perfect dress to say ‘I do’, there’s nothing wrong with having a little fun with your dress choice! When actress Jessica Biel exchanged wedding vows with Justin Timberlake in Puglia, Italy, she was wearing a custom wedding gown designed by Giambattista Vailli haute couture. Adding his own star appeal for the momentous occasion, the bride was serenaded by her celebrity groom as she walked down the aisle. Maxim: Although Mr. Timberlake is most likely unavailable to sing the honors at most weddings, the musician’s fans can always settle for his latest audio download. While the elegance and grandeur of Prince William and Kate Middleton’s wedding date of April 29, 2011 is something to emulate, most brides and grooms’ don’t have the royalty of the British throne to turn their nuptials into a national holiday in the UK. Nevertheless, there’s nothing wrong seeking out a little royal treatment, like you can find at weddings here at The King and Prince! After more than 20 years of planning and taking vacations, a few factors have emerged as keys to an unforgettable getaway. In our house, that means a trip to a beach like St. Simons Island, Ga. Sure, we appreciate the grandeur of the mountains and an evening by the fire. But in the final analysis nothing seems to soothe the spirit quite like a few days by the ocean. Here’s our family’s top five keys to a great vacation. It takes a while to decompress. And we like to mark the miles on our way to the destination. So when we head to St. Simons and see the Sidney Lanier Bridge in the distance – we know it’s time to exhale. 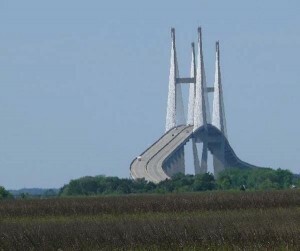 Crossing this bridge is the time on the trip where everybody gazes out the window and starts planning all the things they want to pack into the week. Kayaking, fishing, building sand castles. . .and of course all that exercise talk soon turns into talk of food and all the favorite haunts we plan to visit, like Iguana’s for fried shrimp (voted the island’s best many times! ), and The King’s Tavern at the King and Prince for their signature muffins. The adults look forward to a frosty brew and a po-boy overflowing with fried oysters. All this anticipation makes the trip more fun. True we almost always run out of time before our “to do” list is crossed off, but it’s all part of the ritual. Ask almost anyone and they’ll tell you the same thing: the sound of the ocean is healing. The moment I step onto the sands of a beach and am in earshot of the rolling waves, I feel like the weight of the world has been lifted off my shoulders. Even when the water is relatively still, the other sounds of the seaside instantly connect us to nature: sea gulls screaming, kids squealing with delight, and the wind gently flapping flags and kites alike. 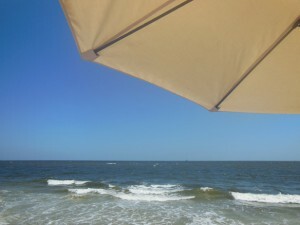 The one thing you won’t hear on the beach at St. Simons is the annoying sounds of cars. Unlike Daytona and other Florida beaches, this beautiful strip of sand has a strict no-driving policy! For anyone with a family, this is a no-brainer. Bikes solve a lot of problems. They give restless teens an easy way to navigate and explore their new neighborhood. For otherwise sedentary adults, they provide a fun alternative to driving, and help us burn off a bit of the ice cream and other treats we’re bound to enjoy. But the ten and under set probably enjoys biking the most. As nice as our neighborhood back home is, there are too many cars to make it a safe place for novice bikers. Plus, rent a teen a bike with a basket and you can save yourself a few trips to the local grocery. What’s better than looking at the ocean? Enjoying what’s just been pulled out of it! Fresh from the docks shrimp on St. Simons is one of life’s simplest and best pleasures. The mild, flavorful taste shines through whether you’re peeling and eating or enjoying them fried, sautéed, swimming in garlic and olive oil. . .Wait, that was turning into a scene from Forrest Gump. 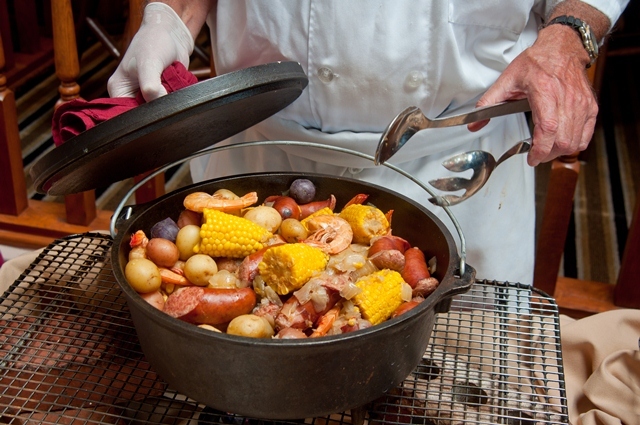 Suffice it to say, there’s plenty of flavorful seafood on St. Simons Island. If you’re in the mood for a casual sandwich, unwrap and enjoy it on a bench downtown looking over the water. Or book a table for two for you and your honey and share some world class cuisine while you watch the sun set over the water at the King’s Tavern in The King and Prince Resort. These are the flavors that you’ll remember long after your sun tan fades. The last part of a perfect vacation is what makes every trip unique: surprises. We always try to work in a new experience like crabbing, night fishing, or kayaking at sunrise. Trying new things reminds us that even through a trip may take us to familiar destination, our time there will be special each time. That’s certainly the case when we visit St. Simons. Each visit is different. But each lives up to our family’s test for making every day we share truly the trip of a lifetime, over and over again. Who needs nuptials like the rich and famous, when a destination wedding streamlines coordinating all those minor and major details? But, not all destination wedding venues meet the demands of the big day. Consider the following criteria for booking the best wedding venue. Budget accordingly. 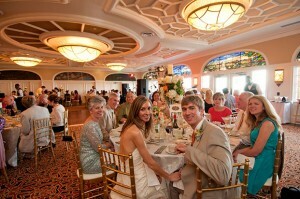 With wedding costs averaging more than $26,000 dollars, destination weddings afford a flexible approach to tie the knot. 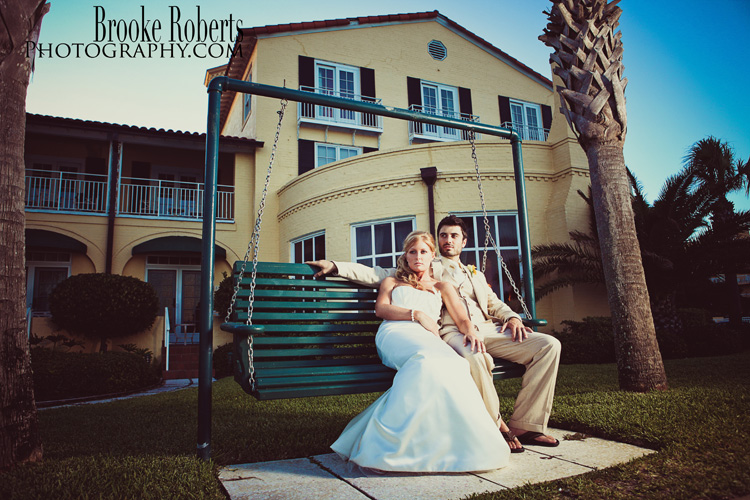 Destination weddings offer the best of both worlds: a place to host the ceremony and reception, plus the honeymoon. Set a firm spending limit for your big day and work within your budget! Wedding venue note: Most hotels, resorts and destination wedding venues charge a flat rate for the room with an additional fee for audio visual equipment, staffing and so forth. Make sure to ask about additional costs when looking into a wedding venue. Plan a domestic nuptial. Weddings beyond America’s borders may be exotic or exiting, but they are often a deterrent for family and friends unable to leave the country. Choose a destination wedding within the United States to ease guests’ travel, expenditures and time. In fact, many wedding planners advise a centralized venue, located within a four or five hour drive (for most of the guests). 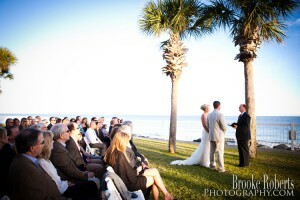 For instance, many brides who live in the Southeast, such Georgia, Florida, or South Carolina, and especially brides from the Atlanta area, are choosing destination weddings near the Atlantic coast. Lodging for everyone. When planning a wedding destination, calculate which guests are most likely to make the trek. Use this number to assess which resorts will have ample rooms to accommodate the wedding party. Note that some destination wedding hotels block off a specific number of rooms and have minimum night stay requirements (especially on the weekend). Stunning views. Think wedding photos and memories. Another essential consideration in selecting the perfect wedding destination is the need for a breathtaking milieu to exchange vows. 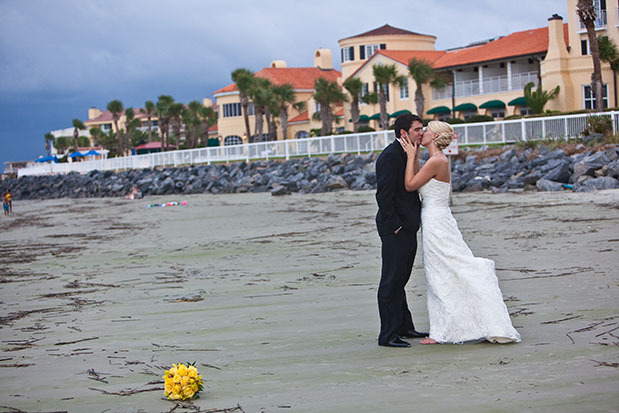 Choose a resort with a variety of locations for the ceremony and reception. The King and Prince offers a variety of venue spaces based on the size of your party or music requirements. Plenty of area attractions. A mix of historical sites, shopping centers and fun activities give newlyweds as well their wedding guests ample activities to explore the day before or after the wedding. On Saint Simons Island, honeymooners and other vacationers can golf, shop, play on the beach and much more! Perks, deals and incentives. Compare venues for the perks and incentives. Some wedding destinations provide amenities such as a complimentary exercise facility, free parking and Wi-Fi for overnight guests. Thinking of a destination wedding at The King and Prince Resort on St. Simons Island? Our wedding specialists, Ruth Driggs and Scarlett Starr, would love to discuss your ideas! Contact us today! 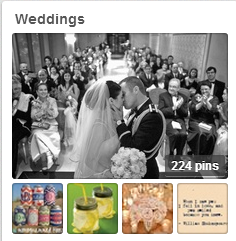 If you are getting married anytime soon, chances are you have been looking for inspiration on Pinterest. Actually, even if you aren’t even engaged yet, you still may be pinning ideas! Our wedding staff here at The King and Prince Resort is equally hooked on Pinterest, so be sure to check out our wedding board! Get inspired by real beach weddings, gorgeous cakes and bouquets, and stunning gowns. What are you waiting for? Start pinning! 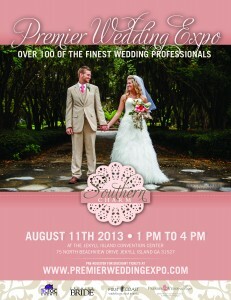 The Premier Wedding Expo will take place at the beautiful Jekyll Island Convention Center on Jekyll Island, GA. Vendors from all over Georgia and North Florida will be present. The King and Prince Beach & Golf Resort is a preferred exhibitor. Ruth Driggs and Scarlett Starr are excited to meet you and assist you on your journey to your special day. Tickets are $7 in advance, $10 at the door. The convention center is located at 75 North Beachview Drive, Jekyll Island.